Jewellery businesses cannot function with small denomination notes. As jewellery sectors attracts mainly cash, but because of cash crunch, the demand for gems and jewellery is expected to decline for at least next two to three quarters. India's jewellery market, estimated at $45 billion (or Rs 3 lakh crore), which is 85 per cent unorganised, may see a shift due to demonetisation and introduction of the goods and services tax (GST). Due to the recent policy change by the government, there is a major pause in the sales of jewellery. Most of the jewelers have kept their shops shut as customers try to convert their cash into gold. Jewellery businesses cannot function with small denomination notes. As jewellery sectors attracts mainly cash, but because of cash crunch, the demand for gems and jewellery is expected to decline for at least next two to three quarters. During Dhanteras, sales peaked as it is said to be an auspicious day to buy gold. Wedding season being around the corner, jewellery was expected to do more sales, but demonetization has blown everything. Today, consumers mentality has changed as they no longer buy gold just as an investment option, on the contrary they look at a piece of jewellery as an object of luxury item. During the wedding season, jewellery too becomes a necessity. Thus, people may be vary of holding on to cash and thus may start trying to convert their money in gold and similar assets, which will impact the industry in a positive way. Demonetisation has affected most of the aspect of Indian economy as it is a major structural change. “There has been a decline of 40 per cent in sales. Once the entire process comes to conclusion and the economy comes back to normal, things will normalise. However, several behavioral changes will undertake and brands that evolve to this changed consumer behavior will survive”, pointed Aditya Pethe, Director, WHP Jewellers. “Karigars are affected very badly. They are directly dependent on jewellers and as jewellers have shut shops in north, their work too obviously have stopped. As the industry is expecting less demand in the coming few days, none of the jewellers are restocking and thus new assignments are not given to the karigars either. They are most affected as they receive many payments in cash. Jewellers are though coming forward to help their regular karigars survive, however there is only so much that can be done. 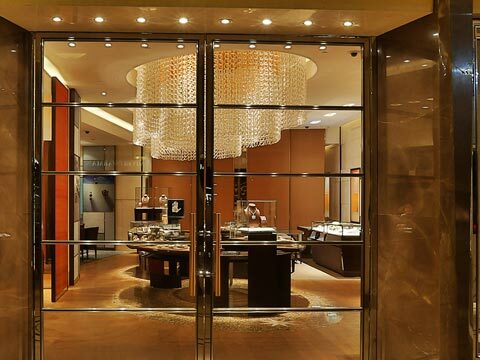 The sales have declined by almost 80 per cent”, shared Ishu Datwani, Founder Anmol Jewellers. Several jewellers are offering incentives to customers for purchases through cashless means such as debit and credit cards, demand drafts and cheques and also modes like RTGS and NEFT. Big retailers are offering innovative discounts on making charges, business has now come to a crawl as customers strapped for cash and standing in long queues at banks and ATM’s refuse to take the bait. “We have always evolved as per the changing consumer needs and market scenarios and already started seeing the changes in consumer’s behavior due to the policies implemented by the government. We realised that branded Jewellery and products are going to be the future, which is why we launched 3 new ventures this year which includes an online Jewellery store www.whp.net.in which caters to the online Jewellery requirements of the digital consumer and expands our reach, 9 Ratna which is a certified authentic gemstone brand and last but not the least our latest venture Izaara which is a premium silver Jewellery brand. All these three launches cater to a different target audience”, said Pethe. The demonetisation move is going to weed out the black money and malpractices. Metros still have players like us who follow compliances and deal in white. “Our consumers too are salaried and take loans to buy property, making it completely cashless and white transaction. The demonetisation move is thus an excellent step for the common man as well as real estate players who follow compliances. It will encourage developers to work with integrity and make the industry a level playing field”, said Rohan Agarwal, Director, Geopreneur Group. Normal transaction will still take some time as people will have to get used to dealing with cashless transactions. Moreover, the demand for gold and diamond has shrunk majorly but it is expected that the consumer getting accustomed to the changes in near future that will eventually revive the industry. “The market has drastically affected and it will take at least three quarters for things to come back to some semblance of normalcy”, added Datwani.